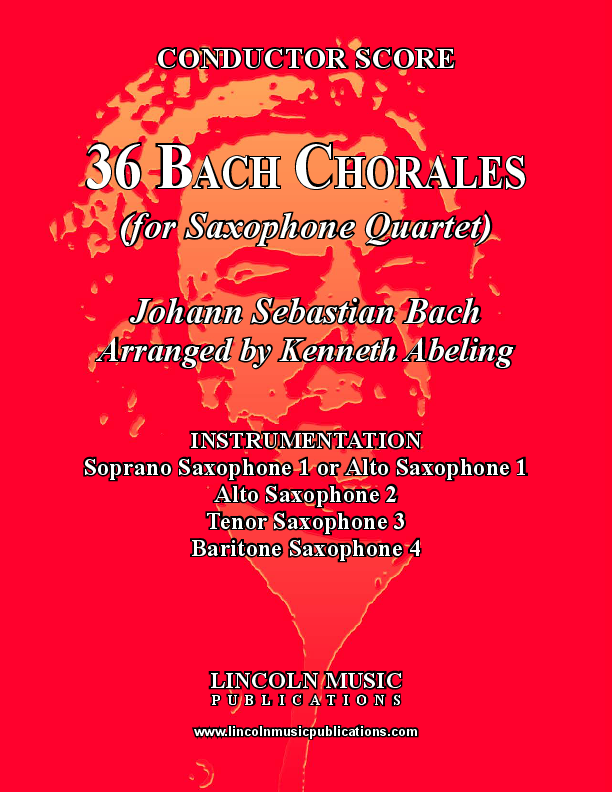 36 of Johann Sebastian Bach’s beloved Four-Part Chorales transcribed for Saxophone Quartet. These Chorales are suitable for the beginner to the professional musician and make excellent warm-up and tuning exercises. They are also appropriate for a variety of religious applications. Playing time: 35-37 minutes (depending on desired tempos) without repeats.